For the summer '08 issue of Booknotes (the NZ Book Council's journal) I filled in for their regular children's book reviewer, who was on leave. A few of the books I reviewed had themes relating to self reliance and the environment, so I thought I'd 'reprint' those ones here. The book’s September release date could not be more appropriate. As I write, a group of small island states are calling on the UN Security Council to address climate change as a threat to international peace and security. Set on an unnamed island based on those in the Tuvalu group, The Stuck There Forever Boat presents the effects of rising sea levels on small island communities in a clear and personal way. I was disconcerted at first by the author’s notes at the end of the book pointing out that, for the sake of the story, she had sped up the time-course of events. But then again, I thought, arthouse movies get away with this kind of thing frequently, and what with the narrative’s mythic feel and Bruce Potter’s dream-like photo-realist illustrations fading into black around the text, the book is somewhat filmic. 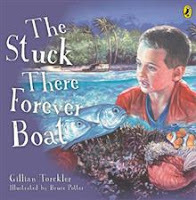 While its subject is not an easy one for children, The Stuck There Forever Boat manages to end on a hopeful note by focusing firmly on the successful evacuation of the main characters from their island. That will be enough for some readers for now. However, for those who are ready to pursue the issues further, the book serves as a good starting point. McKinnon’s short story collection begins and ends with tales that contain supernatural elements, but sandwiched in between are depictions of everyday life that explore the nuanced and sometimes downright confusing relationships that can exist within families and groups of friends. The characters banter, bully, scold, and care for each other deeply. Lucid and unflinching, McKinnon dives straight into the murky areas of relationships, avoiding obvious judgment, keeping a sense of humour, and giving the reader plenty of room to decide for him or herself what to think of each situation. Fascinating in a different way are the depictions of rural life and food gathering – raiding an overgrown watermelon patch, hunting for wild eggs, shooting ducks, and torching for eels. Reading these stories, it’s hard not to feel sadness at the untimely loss of McKinnon’s voice from New Zealand writing. With interest in traditional arts and crafts increasing, this book will be a valuable resource for many. Instructions don’t get much clearer than Rickard’s. They are laid out in just the order you need them; the numerous photographs illuminate exactly what you want them to; and Rickard’s years of experience as a teacher are evident in the way her text anticipates questions and swiftly answers them. A nice touch is the Gallery at the end of the book showcasing piupiu in both modern and traditional styles. In fact I would have enjoyed a few more pages of this. He goes on to suggest that if children really are becoming the screen-addicted couch potatoes that we often complain they are, perhaps it’s because we are no longer getting out there and showing them how to do exciting physical and practical things. Without wanting to go too deeply into my own parental failings, I suspect there is at least some truth in this. The message: don’t shield children from dangers, but don’t leave them to their own devices either; work with them and show them how to negotiate those dangers. Promoted as a New Zealand version of The Dangerous Book For Boys, it’s much less gendered, but is written in a similar lively style and has the same format – practical activities interspersed with lessons about nature and history. For most activities all you’ll need by way of instruction is the book. 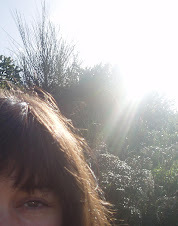 There are a few, however, (such as making medicinal treatments from native plants) where most would want to hunt out some extra info before putting any suggestions into practice. And does the book really tell you how to eat a huhu grub? Absolutely. My son was rummaging hopefully amongst old logs for nearly an hour. Had he found any we would certainly have had a different dinner that night. This well researched novel, the first in a trilogy, takes place in the Americas over 10,000 years ago. It follows the journey of twin brother and sister Trei and Souk, along with their friend Crien, to try and help their tribe survive through lean times. From the very first page, where young hunter Trei stalks a fawn suckling from its mother, Ford pulls the reader into a raw world where humans are keenly aware of their own animal natures and their dependence on the rest of the natural world. The first few pages set up themes that are developed throughout the book – survival, nourishment, family bonds, and death. Ford doesn’t shy away from gore. Some of it may be upsetting, but it never feels gratuitous. Ford’s elegant, spare prose rarely falters, and his third person narrative shifts frequently and seamlessly between the perspectives of the two main protagonists and that of a third invisible observer. In this way he skillfully maintains control of the story’s emotional impact. The book is embellished with descriptions of hunting, gathering, and food storage techniques, adding another layer of interest. While I would place this book in the young adult category, I’m sure it will also appeal to intermediate students. In this futuristic page-turner, Beale continues the exploration of mind-control that she began with I am not Esther, and poses some big questions. For example, in certain situations, is there a place for mind-control? The people of Taris live on a Pacific island within a protective bubble that shields them from the environmental and political threats plaguing the rest of Earth. Every aspect of their lives is controlled by tradition and/or authorities, but central character Juno is not born to conform. In the first few chapters, Beale leads us to believe this will be a classic ‘chosen one’ story, following Juno as she pursues her destiny. However, as the book progresses, Beale subverts this expectation. Free will elbows out destiny, and Juno’s friends reveal themselves to be more than side-kicks, and take on roles that are just as important as Juno’s in changing the order of things on Taris. Of all the ideas the story offers, it is this one I personally find most engaging – that saviours and pre-ordained destinies are wishful thinking. Change is brought about by groups of people who take control of their own destinies. However, the book offers plenty more ideas than that for readers to sink their teeth into. Great suggestions for books. I think that kids will love these books. One of Our Cows in 4K Video - Ever seen a cow in 4K video? Me neither. My Samsung Galaxy Note 4 shoots 4K video so I pointed it at one of our beefers to see what would happen. Gingerbread of Catan game - Back in the creative saddle.... here's a first go at a 'cookies of catan' game including ports.